Oh, these seem to be cozy in late summer days! 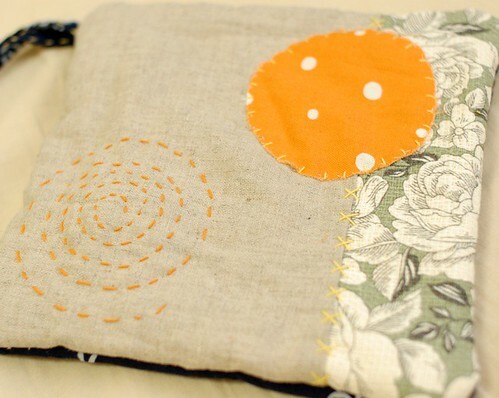 I like the idea of using old fabrics. Unfortunately it was almost forgotten during the last decades. Take care, Mai & thank you for sharing. The little shirts are so cute! The baby shirts are so cute! Are you going to make a tutorial for these? I'd love to make some of my own but don't know how! What a great idea, recycling your and your husband clothes for your baby! They are beautiful. I also love your potholders. I never thought of putting an old towel inside them. I am learning a lot from you! Darling little clothes for your baby! Do you make them from patterns or do you make the patterns yourself, too? I love that you've repurposed old shirts into little tiny shirts. I wish more people thought that way! I love seeing pictures of your work! Do you draft your own patterns for the baby clothing or use prepared patterns? Great idea about using the towels instead of batting! It's a great idea to recycle your old clothes for your coming baby! You can make the clothes just like you want and full of love, including a part of you and your husband in the old clothes! Such a nice idea, instead of spending so much money buying clothes from shops! I'll ask also for a tutorial!!! 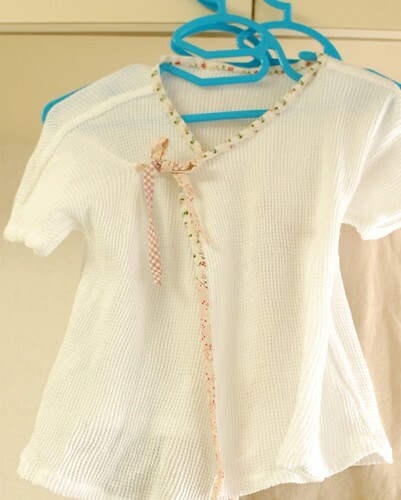 It would be so nice to make my own clothes for my baby (well, not pregnant now, but some time in the future! ;P). You've been busy. Love the pot holder, the towel idea is great. Your Tomato is one lucky baby girl to have such a clever Mummy. I hope you pass your love of craft on to her. She will be the best dressed baby in town. The new outfits are just beautiful. Repurposing your husbands old shirts was clever. 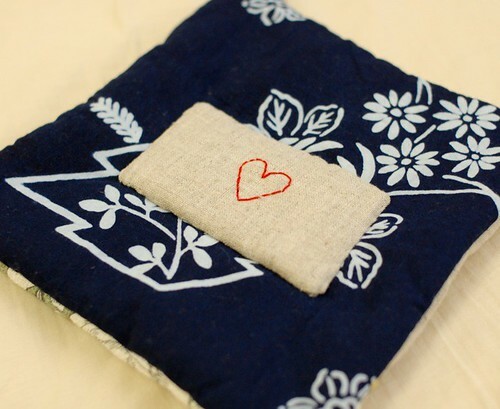 Good idea to use an old towel in your potholder. Lovely ideas as usual! Everytghin si so cute! 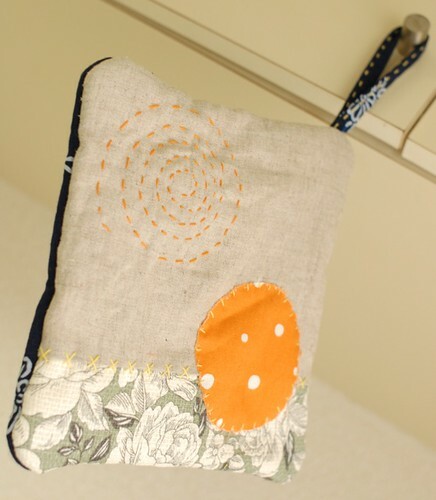 I liked the idea of putting a towel in the potholder, great! Good to see your new items for baby and yourself. Very creative, as always. Mai, you are so good in recyling things, and you sew great with your hands. Those baby shirts are way too cute. Take care and thank you for sharing your beautiful work. Oh... those baby shirts are so cute! I really like the pot holders too! The shirts are so cute! I love the waffle one. It is very nice! All the best for the baby. It's a great idea to recycle those t-shirts for your baby!! The little shirts must be sooooft! I just found your charming blog - blessings on you and your family! Your posts and pictures are all art - I can feel the life in your blog.